Steve Durbin is Managing Director of the Information Security Forum (ISF). His main areas of focus include strategy, information technology, cyber security and the emerging security threat landscape across both the corporate and personal environments. He is a frequent speaker and commentator on technology and security issues. Mr. Durbin has considerable experience working in the technology and telecoms markets and was previously senior vice president at Gartner. He has served as an executive on the boards of public companies in the UK and Asia in both the technology consultancy services and software applications development sectors. Mr. Durbin has also served as a Digital 50 advisory committee member in the United States, a body established to improve the talent pool for Fortune 500 boards around cyber security and information governance. He was ranked as one of the top 10 individuals shaping the way that organizations and leaders approach information security careers in 2014. 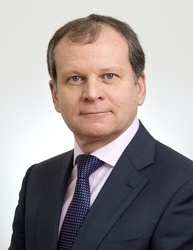 Mr. Durbin is currently chairman of the Digiworld Institute senior executive forum in the UK, a think tank comprised of Telecoms, Media and IT leaders and regulators. He is a Chartered Marketer and a Fellow of the Chartered Institute of Marketing. Cyber security technology solutions continue to advance, and at the same time, so do cyber-attack methods. Cisco is tracking this phenomenon in malware development by measuring Time To Evolve (TTE) — essentially the time that lapses between distinct changes in evasive file and delivery tactics. Malicious hackers’ inventiveness and sophistication has allowed six malware families to continue creating havoc over an extended period of time. These strategies only partially explain why we see the same vulnerabilities being exploited year after year. If we worry too much about sophisticated zero-day attacks or become distracted by the overblown promises of the latest software package, we continue to neglect the elements that are proven to protect or expose us. Verizon’s 2017 Data Breach Investigations Report highlights that, yet again, it’s the fundamentals that will be our undoing —but they could also be our saving grace. A vast majority of breaches (88%) fall into one of nine attack patterns – the same nine patterns Verizon identified three years ago. Phishing is still among the most prevalent attack vectors, and lots of people are still falling for it: the report found one in 14 users had opened a phishy link or attachment, and a quarter of them did it more than once. Two-thirds of malware is installed via malicious attachments; likewise, ransomware and web application attacks frequently use phishing emails, texts, and calls to initiate access. Finally, the password plague continues to sicken security programs – 81% of hacking breaches used stolen or weak passwords to gain a foothold. The bad news is, we don’t seem to be learning from our mistakes as quickly as we should. The good news is, raising security awareness across the enterprise doesn’t require capital investments or complex upgrades. It requires diligence, leadership, and contextual threat intelligence — and it starts in the C-suite. Business leaders recognize the enormous benefits of cyberspace and how the Internet greatly increases innovation, collaboration, productivity, competitiveness and engagement with customers. Unfortunately, they have difficulty assessing the risks versus the rewards. One thing that organizations must do is ensure they have standard security measures in place. This means going well beyond implementing the latest security tools. Cisco’s 2017 survey of security capabilities found that while CSOs and SecOps managers are confident they have the best technologies available, they are much less certain that, in the face of skills and budget shortages, they are making the best use of these tools. Such fundamental shortcomings are a good place to start if you’re looking to fortify your existing defenses. Every type and size of organization is vulnerable to cyber-attacks. To control risk and damage, each organization has to develop and maintain a thorough understanding of its particular weak points, targeted assets and industry-specific threat vectors. Executives who leverage threat intelligence, maintain strong contextual awareness, and stay committed to managing insider threats help their organizations develop a deeper culture of defense, injecting security throughout the enterprise. Companies that prioritize well-equipped security programs and widespread security awareness are more prepared to grow, innovate, and compete. In order to consistently make better decisions about how to align business and security objectives to manage risk, protect brand reputation, and respond effectively to incidents, boards and senior executives have to remain steadfastly engaged. Those that depend too heavily on silver bullet solutions should beware boulders falling from the sky. About the Author Steve Durbin is Managing Director of the Information Security Forum (ISF). His main areas of focus include strategy, information technology, cyber security and the emerging security threat landscape across both the corporate and personal environments. Previously, he was senior vice president at Gartner.